A new member of staff arrives for their first day. Cast your mind back to your first day – even your first week – what would you put in place to have made it as smooth as possible? Starting a new job can be daunting for someone – the easier it is made the quicker they will settle in and become part of the team. Past experiences and talking to new members of staff I introduced a Staff Introduction Form that would be completed with the Surgery Supervisor and the new member of staff or Locum Doctor/Nurse on their first day. It is amazing how many people are not shown where the toilets are or where the fire exits are and more important where the resuscitating equipment is located. Does your new staff know where your resusciating equipment is located? This list became so popular with new staff and Supervisors that we introduced a similar form for locum Doctors and Nurses to the practice. Often a Locum will arrive early morning and shown to their consultation room and nothing else – again Doctors really valued this form and found it very helpful indeed. The importance of the form is that is it completed with the new member of staff – signed and dated by both the Supervisor and the staff member/locum. One copy is kept on personal files and the other is given to the staff member or locum. I am limited to how I can do the layout as this is down to the blog – but I will give some idea on what you should include in your form. Personal belongings are your responsibility. The practice cannot accept liability for loss or theft from the premises. Consulting room doors must be kept locked with unoccupied. It might not always be possible to get all the checks done on the first day so it is important that the form is signed and dated as each part is completed. This will also be a reminder to the Surgery Supervisor if there is still something outstanding. You can add to your list to suit your own surgery – but try to keep it to the most important things – the new member of staff will soon start to settle down once they have the basics. If your Surgery has policies and procedures make sure that the new member of staff is aware of where it is kept so they can go to that for reference if the need to. 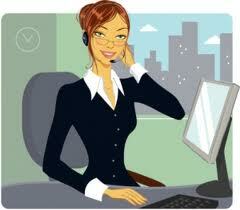 As a new Receptionist you will be very welcomed by your team. Do not be fooled at this new position as being a “nice little job” it is far from it. You will be extremely busy at times, sometimes short-staffed and occasionally come across grumpy patients (and sometimes Doctors). A Doctors Receptionist is like Marmite you either love it or hate it. If you love it you will have a job for life – but be prepared for hard work. But you will also find it very rewarding. The waiting room is the core of your organisation. It will be the main part of your working environment as a Receptionist and is often the part of a surgery in which the patients spend most time: it follows that the condition of the waiting room can leave a great impression on patients, good or ill. Ensure that fire notices and leaflets are tidy and up to date. Keep magazines and other reading material fairly up to date. Ensure that there is nothing left lying on the floor that could possibly cause an accident. If possible arrange the reception area in such a way that patients leaving the surgery must pass by the reception desk after a consultation. Patients are often preoccupied after seeing the doctor and, for example, forget to ask for a follow-up appointment. As a Receptionist you main duties will be dealing with numerous patients throughout the day. Remember the patients are the core of the Practice – without patients you would not have a job. You will have patients come into the surgery in person or speak to them over the telephone. You must remain calm at all times, be able to prioritise and ensure that you follow-up every task that you are given. If you are unable to do so then you must ensure that you pass on your tasks to another person or leave a message in the Receptionists message book. People skills are a essential for this role. As a receptionist you may be required to organise transport for a patient. Ensure that you are aware the procedures for arranging transport and how it works from the patient’s point of view so that you can explain these transport arrangements to them. Please ensure that you are aware of your surgeries policy on calling 999. Consultation by appointment rather than queuing in the waiting room is now almost universal. The purpose of an appointments system can be good and bad. A bad system means patients have to wait a long time for an appointment and become frustrated and angry. A good appointment system work to the advantage of both Doctors and Patients. You as a Receptionist should be encouraged to feedback to the Practice Manager/Doctors in areas that you feel could improve the system. After all it is you as a Receptionist that will identify what is going well and not so well. Encourage patients to cancel appointments when they are not needed. DNA’s (did not attend) is the biggest problem for patients waiting on appointments – if everyone cancelled their appointment if it was not needed it would free up many appointments over the week and the month. ALWAYS thank a patient when they cancel an appointment – everyone responds well to praise. Most important remember to cancel the appointment off the computer screen – sometimes a DNA can go against the patient if it has not been taken of the computer screen – as some Practices record all the DNA’s. Some practices even write to Patients when they have had 3 failed DNA’s – and this has lead to bad feelings when the patients have in fact telephoned the surgery to cancel their appointments. As a Receptionist you will probably deal with the practice mail. Incoming mail should be sorted daily and date stamped and any enclosures securely attached – and if any missing items are identified this could be recorded and followed up with the recipient. These are samples that are sent daily to the local hospital. Every specimen HAS to be labelled corrected – and this should include the patients name, date of birth and the time the sample was taken. Often busy Doctors do not enclose all of the required information – before the Specimen box is collected by the local courier please check that all the specimens are correctly labelled. Usually results come through electronically but some Incoming results may still come through as a paper copy – these should be either scanned, or recorded in the patients records – your practice will have a policy on this. For all results than come through via the post they should be date stamped like a normal letter. In Reception you will require to have a small amount of cash. Patients often pay for reports completed by the Doctor, for their passports being signed and often housing letters along with other items. Ensure that you have change – not just notes. All petty cash should be kept in a locked petty cash box and topped up weekly or monthly. It is essential that all money taken from the petty cash box has a record showing all expenditure and receipts. Any money taken from a patient ensure that a recepit is offered. Record the monies in the appropriate place and also record it on the patients records. As a Receptionist you may be one of the first into the building or one of the last to leave. 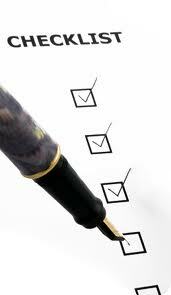 It is advisable to have a check list of thing to do on such occasions. Speak to your Supervisor/Manager and if your practice has not got such a checklist perhaps with your Manager you could organise such a list – this is particularly very helpful to all new Receptionists when they start. Doors and windows are closed – especially all fire doors. Patient notes are securely locked away. A common source of anxiety to a receptionist is what to do when faced with an emergency. This can be very daunting to a new Receptionist but with good training and Practice Procedures and Polices you will soon become skilled in dealing with such emergencies. As a Receptionist you may be required to learn basic first aid. Your practice will arrange such training for you. It may seem very daunting when you first start as a Receptionist – but no one expects you to know everything at once. Take each day as it comes – shadow a fellow Receptionist and ask questions all the time. In my experience in hiring Receptionist it can take up to 6 months before a Receptionist is really confident – but as we all know nothing stays the same and things within the NHS and Surgeries never stay the same – there are always new procedures and changes to existing policies so at the end of the day we are learning something new all the time.